DC Comics has been having a bad week. Yesterday, two members of the Batwoman editorial team quit after their publishers refused to allow Batwoman (who is a lesbian character) to marry her partner. 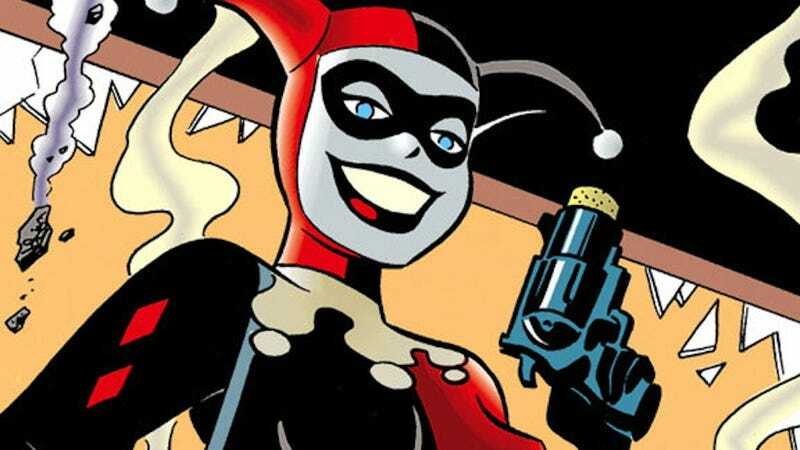 And now the comic company has provoked even more outrage by hosting a contest in which they readers to draw Harley Quinn, a popular villain, preparing to commit suicide. Naked. The trope of sensationalized female character deaths has long haunted the medium, as has a terrible tendency to oversexualize and objectify women characters; it's almost surprising that it's taken DC this long to combine the two into a vile heap of casual sexism — because female suicide is so fascinating and compelling and cool, right, guys? I'm a sequential art student, and I find it a bit appalling that the requirement for panel 4 is essentially drawing a female character committing suicide naked. The sexualization of suicide is something I will not be putting effort into for a talent search. I'll let the other fanartist draw naked Harley in a bathtub. I'll gladly draw anything but sexualized characters and suicide scenes for a very well-developed character. What's perhaps most disturbing about this contest — other than the way in which it showcases DC's blatant disregard for women — is that it essentially prohibits comic artists who are opposed to the eroticization of violence against women from applying for the honor of drawing a strong female character. Campaign to flood the contest inbox with photos of the poop emoji with eyeballs starts now.